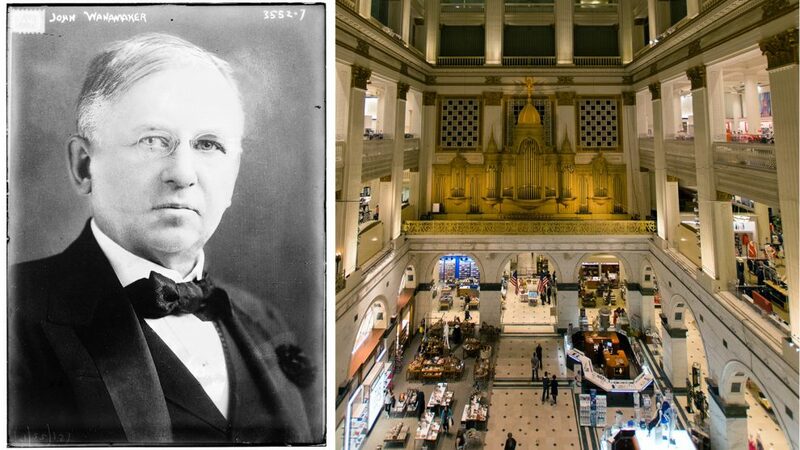 (RNS) — During his lifetime, John Wanamaker built two megachurches. One tried to save souls. Another sold clothes, jewelry and perfume. Wanamaker believed “his business interests and his religious interests were not in conflict,” said Kirk, and he could integrate the two without compromise. “Over and over, and not defensively, (Wanamaker) speaks about how he doesn’t see a conflict and they are mutually supportive,” said Kirk, a Unitarian Universalist minister and historian of religion. In their heyday, the two Wanamaker enterprises — department store and church — influenced the community, raised the living standards of thousands of employees and church members, and melded commerce and Christianity in a way not previously seen in America, Kirk said. His eponymous department store – now a Macy’s — in Center City Philadelphia contained a 10,000-pipe organ and presented religious-themed Christmas and Easter programs. His church, Bethany Presbyterian Church, drew thousands for worship. 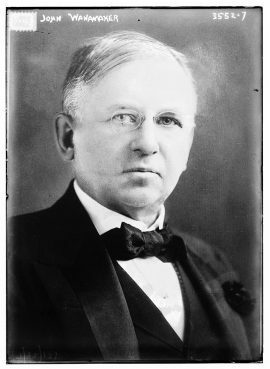 Wanamaker, who also served four years as postmaster general of the United States, was foremost an evangelical Christian who melded faith and works, specifically the working of his retail empire. While building the first department store in Philadelphia, he also funded the growth of the city’s first megachurch, which featured a range of social services undergirded by a strong evangelistic outreach. He offered young male employees of his store guidance through a YMCA-like program aimed at promoting spiritual discipline. All employees could spend a summer vacation at a church-run resort, albeit with strict behavioral codes. The merchant was so famous for his public expressions of faith he was satirized as “Pious John” in newspaper cartoons. But the ridicule did not deter him from his mission to blend faith and commerce, using his wealth to fund the YMCA, where he had worked before going into retail, as well as the Salvation Army, whose U.S. leader, Commander Evangeline Booth, became a close friend. Washington University professor Leigh Eric Schmidt said Wanamaker’s philosophy was a “wider” version of the “gospel of wealth” popular during that era. Kirk said Russell Conwell, a clergyman best known for establishing Temple University, was a huge influence on Wanamaker. Conwell, she said, preached about the “Acres of Diamonds” available to those who work hard and seek out opportunity. 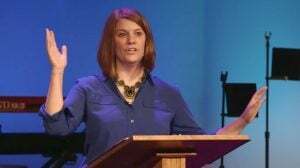 She termed Conwell’s message an early iteration of today’s “prosperity gospel,” proclaiming that God will financially reward those who are faithful. The wearing of religion “on one’s sleeve,” said Vanderbilt University professor James Hudnut-Beumler, was more conspicuous with Wanamaker than contemporary businesses such as fast-food chain Chick-fil-A or Hobby Lobby would now indulge. The chicken sandwich company, for example, closes its franchises on Sundays but keeps its owners’ faith largely private. Wanamaker’s faith, by contrast, was more “in your face,” said Hudnut-Beumler. Wanamaker’s store had a sacred Christmas display, complete with a creche, and religious displays at Easter. And no one boycotted them, said Hudnut-Beumler. “Not even Chick-fil-A was as in your face with its ‘performed Christianity’ as was Wanamaker at the height of his powers,” he said. Along with his overt religiosity, Wanamaker “presaged the mid-20th-century evangelical revival led by people such as Billy Graham” through his interdenominational work, according to Hudnut-Beumler. When revivalist Dwight L. Moody came to Philadelphia, Wanamaker remodeled the hall in which Moody conducted his campaign to make it more suitable. Some churchmen viewed the Salvation Army as “competition,” Hudnut-Beumler said, but Wanamaker endorsed its work of evangelizing those in poverty or addiction. 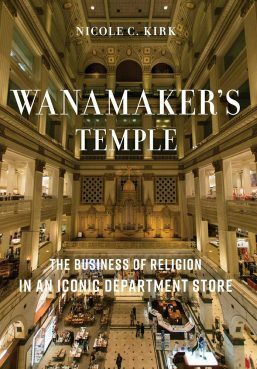 “The fascinating thing about Wanamaker is, even though he belongs to a ‘tribe,’ Presbyterians, he’s so much bigger than his tribe, when it comes to Christianity,” Hudnut-Beumler said. Kirk, whose next project is a biography of George Pullman, a railroad magnate and Unitarian, said she was struck by the reaction of people when she mentioned her study of Wanamaker’s life and religion. 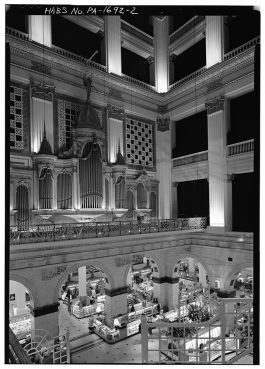 Anyone who has had the pleasure of hearing the amazing pipe organ in Macy’s (formerly Wanamaker’s) in Philadelphia with its grand pianos, drums, and variety of melodic percussion instruments cannot help but be in awe of its enormous range of sound. Listening to it is a real trip – like being surrounded by an entire orchestra – except you’re in a department store. Surely no other situation like that exists anywhere else in the world. It’s a real one-of-a-kind. A great story and better example of being Christ-like. It’s too bad there aren’t more examples like this in today’s secular world. Religion is for the ignorant, the gullible, the co​wardly, and the stu​pid, and for those who would profit from them. Wanamaker (and many televangelists too) had the profit part dialed. 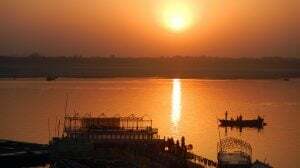 There is certainly nothing wrong with a business that is spiritually themed to attract customers who may appreciate the offerings and sentiments. 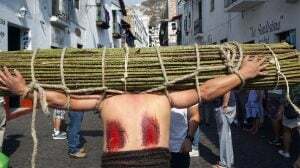 There MIGHT be something wrong with an incorporated business which makes any kind of spiritually-related demands on employees, depending on what those were. Hobby Lobby plays religious music in its stores, for instance. Bravo. Hobby Lobby also inserted itself into what kinds of health services ifs employees could access in an employee health plan. Not bravo. I’ve been there and heard the organ being played…it was truly awesome! You are so right! Mr. Wanamaker earned his money through honest work in an honorable profession, the department store trade with a store that is fondly remembered. He spent much of his money on charitable causes like the Salvation Army. For what good work would you condemn him? That’s more than a stretch. Wanamaker is condemned for helping perpetuate the god-fraud known as Christianity, but he certainly profited handsomely from his con artistry.